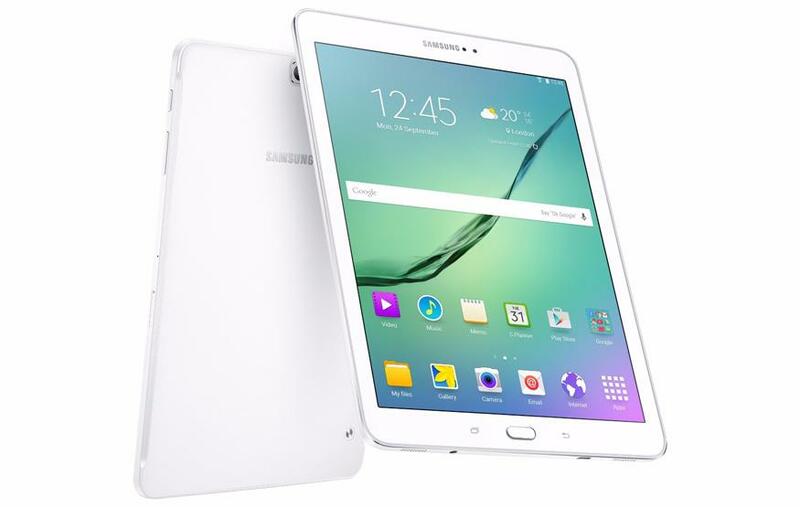 Samsung today unveiled the Galaxy Tab S2, a new flagship tablet that will come in 9.7-inch and 8-inch variants. Succeeding last year's Galaxy Tab S, the Galaxy Tab S2 has eschewed its predecessor’s 16:10 widescreen display for a distinctly iPad-like 4:3 2048×1436 pixel "Super AMOLED" display. Samsung claims the metal-clad device is the "thinnest and lightest tablet of its size ever"; both 8-inch and 9.7-inch Galaxy Tab S2 models have been trimmed down to 5.6mm in thickness, and weigh 265g and 389g respectively. In terms of hardware, the Galaxy Tab S2 is powered by an eight-core processor with four cores clocked at 1.9GHz and another four clocked at 1.3GHz. It will ship with Android Lollipop, 3GB of RAM, a fingerprint scanner, and an 8MP rear-facing camera. Both the 8-inch and 9.7-inch models will be available with either 32GB or 64GB of expandable storage, and a choice of Wi-Fi only or 4G connectivity. The Galaxy Tab S2 will go sale internationally from August. UPDATE: Samsung has confirmed that the Galaxy Tab S2 will see a local launch, and has said it will provide pricing and availability “closer to the local launch”.